How long does it takes before a group of “immigrants” becomes “indigenous people”? In our days of post-colonialism, the term “indigenous” has taken all positive aspects that used to be associated with the word “pioneer”. These days everyone wishes to have deep roots stretching from his feet down to the bottom of the earth, and if s/he cannot find such roots, s/he would invent them. The truth is that people are not trees, and immigration is an essential aspect of our lives. Had it not been the case, we would all live in central Africa to this day. It is also a fact that many peoples who present themselves as indigenous had a history of colonialists. The most striking example is perhaps the Arab peoples. The heroic Arabic term futūħ can be described as a series of colonial conquests of people from the Arabian Peninsula who stormed the Fertile Crescent, North Africa and Persia during the 7-8th centuries CE. It took a few centuries before the vast majority of the Middle Eastern peoples gradually Arabized, either willingly or under pressure. But if the contemporary Middle East is to be regarded as indigenously Arab, then one has to admit that it does not take too long before the immigrant or colonial culture becomes the indigenous. All that begs the question, why does it all matter? What difference does it make if a person or a people is immigrant or indigenous? Actually it doesn’t. As I said, people are not trees, they wonder around all the time. Interestingly enough, the Apartheid regime in South Africa is often described as despicable discrimination of indigenous peoples by colonialists. The facts suggest otherwise. 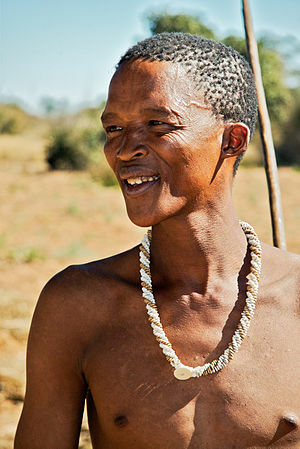 People of European origin have been living in South Africa for hundreds of years, and most people of African origin, particularly the Zulu and Xhosa peoples arrived in South Africa about the same time as the first Dutch settlers, after constant migration from central parts of the continent down south. Furthermore, had the Apartheid discrimination been based upon religion rather than race – suppose Christians of all races had been favored over non-Christians – would it make the discrimination less despicable? Post-colonialist theories are a mirror-image of the colonialist ideas, and as we all know, the face reflected from the mirror is not much prettier than the one present before the mirror. Switching the villain-righteous roles between the “indigenous” (formerly known as “savage”) and the “colonialist oppressor” (formerly known as “pioneer”) leads nowhere. Also, ignoring the complexity of identity, whether it is an individual’s identity or a people’s identity, is just another form of oppression. Are the people called “African American” really African, having been born in North America to families who have been living in the “New World” for at least 300 centuries, and being part of a culture that is closer to European traditions than African ones? Is a French citizen who immigrated from Algeria a Frenchman or an Algerian? Considering the long French government of Algeria, is he really an immigrant? Where exactly should we draw the line, and more importantly, why should we draw it at all? If our objective is to minimize oppression of peoples and individuals, why do we need to divide them into “indigenous vs. colonials/immigrants” categories?